When it comes to the shape and size of teeth, many are surprised to learn that genetics play a key role. Thus, when adults have very small teeth, similar to the size of primary baby teeth, this is a condition called Microdontia. Classified as a developmental disturbance, Microdontia is a common oral health problem that runs in families, according to Colgate. While teeth are small and disproportionate, they may not fit together as they should. As a result, individuals often experience trouble chewing, and this causes excess wear and tear on teeth. On the other hand, Macrodontia is a condition describing teeth that are larger than normal. Less common than Microdontia, Macrodontia is usually addressed as a pediatric dental concern. This is because early treatment helps prevent problems with occlusion and the patient’s arch. Composite Restorations: To correct the shape and size of teeth that are inherently small, the dentist bonds composites to the surfaces of teeth after minimal preparation. Composites are comprised of tooth-colored materials, which enhance the appearance of teeth. Dental Veneers: Designed to cover the front surfaces of teeth, dental veneers are a combination of porcelain or ceramic materials. For teeth that are misshaped or crooked, veneers are a tried and true way to improve the appearance of teeth. Dental Crowns: For teeth that are irregularly shaped, dental crowns are a reliable and dependable “cover” for teeth. When it comes to Macrodontia, not all cases will require treatment. Even so, dentists recommend early restorative treatments and/or Orthodontics to help patients avoid jaw joint pain from improper bite alignment, cavities from irregularly shaped teeth and to improve the overall appearance of teeth (Dentagama). In turn, when one or a few teeth are affected, dentists can shave or “contour” the structure of teeth to change their size and shape. When too much of a tooth’s structure is affected, however, extraction might be necessary. 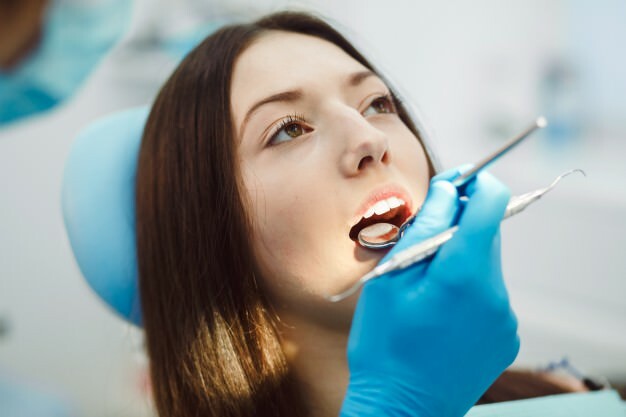 If Microdontia or Macrodontia affects you or a family member, the good news is that advancements in dentistry provide numerous options to improve the look and function of your teeth. Dr. Patrick Vuong of Smile Avenue Family Dentistry in Cypress maintains a focus on preventative dentistry, with the goal of helping patients achieve long-term success. What’s more is that Dr. Vuong places a high value on patient experience, ensuring that YOU are comfortable and at ease with your care. For a unique dental experience, call Smile Avenue Family Dentistry today.